By Chris Williams: Former WBA lightweight champion Brandon Rios (31-1-1, 23 KO’s) sees Manny Pacquiao (54-5-2, 38 KO’s) as the same as the other opponents he’s faced and worn down during his career to get stoppage wins. Rios just sees the 34-year-old Pacquiao as one of the older guys that he’d faced and he plans on taking advantage of his advanced age on November 23rd in Macao, China. Pacquiao’s promoter Bob Arum could potentially end up with a lot of egg on his face if Rios ends up starching Pacquiao on November 23rd, because Arum obviously felt that this was a safe enough fight for Pacquiao to make it happen. Arum could have and probably should have picked a feather-fisted opponent for Pacquiao to fight instead of this guy, but that’s not what happened. Rios will be looking to take the fight to Pacquiao to make sure that he doesn’t use the same hit and run style of fighting that he used on Rios’ good friend Antonio Margarito in 2010. Margarito didn’t have the foot speed to cut off the ring on Pacquiao to force him to take his blows, but Rios has much quicker feet to cut off the ring on him. What that means is that Pacquiao will be eating many more punches in this fight than he did in the Margarito fight, and that’s not going to be a good thing for Pacquiao given that he’s coming off of a bad knockout loss. 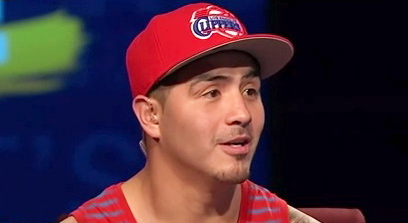 Rios says he plans on mixing up his punches by throwing to Pacquiao’s body and head. Pacquiao has problems handling body shots during his career, and Rios doesn’t want to neglect that part of his body by focusing too much on throwing head shots. Rios is a murderous body puncher, and he could very well get Pacquiao out of there with a hard body shot just as much as with a head shot. Margarito had Pacquiao ready to drop after nailing him with a hard body shot in their fight, and this isn’t lost on Rios. He knows that Pacquiao is vulnerable to the body and that’s why he plans on going after with body and head shots. Pacquiao will have to be able to absorb a great deal of punishment if he wants to win this fight, because Rios isn’t going to get blasted out the way that Ricky Hatton was when he fought a prime Pacquiao in 2009.